Derbyshire County Council was looking for an alternative route for vehicles around the town of Ilkeston in Derbyshire to reduce congestion and the high numbers of heavy and large vehicles moving through the town centre. Their aim was to look for a sustainable urban drainage system which would provide adequate drainage, whilst remaining robust and durable to cope with high vehicular traffic rates. Marshalls was asked by the main contractor, Carillion plc, to assess the proposed drainage on the scheme. Carillion’s main concern was that the existing design used a large number of gullies and cross road connections to a single carrier pipe. These connections were viewed as costly and time consuming to construct but would also be costly in terms of maintaining them should there be a problem. 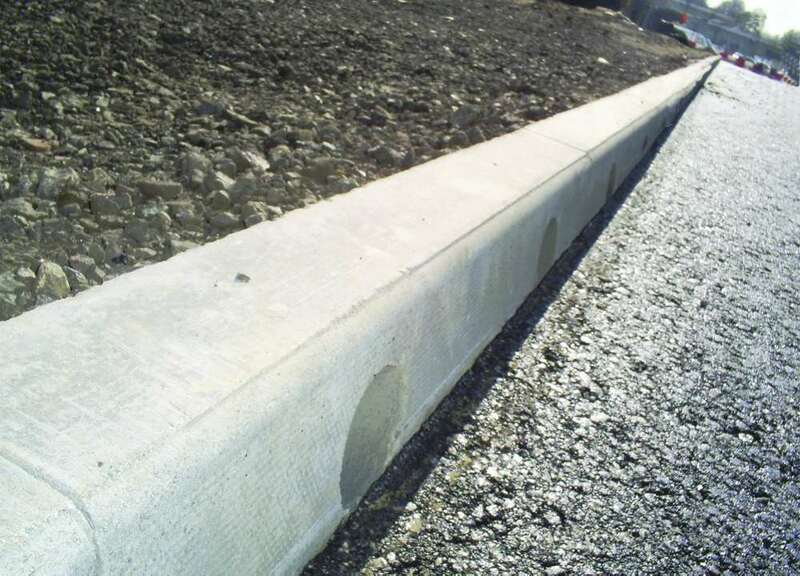 Marshalls Drainage Team worked alongside Carillion’s site team to produce an alternative design which reduced the number of cross road connections and carrier pipes, however, this had to be approved by Derbyshire County Council’s Highways department as the adopting authority. Marshalls provided full hydraulic calculations and outflow data for the design which was put forward for approval as well as a full schedule of components for the project and a layout showing the locations of each drainage run and the channels and tops used within it. Marshalls supplied 700m of the new Mini Beany, it was installed without a front haunch of concrete which ensured that the proposal was more cost effective than the existing design. 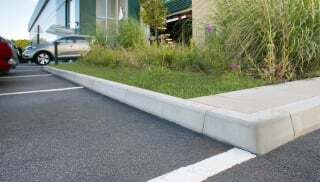 Because Marshalls 1 metre Mini Beany comes in two parts per metre, not three, it reduces time and labour costs, and, by hydraulically pressing the 1 metre base units during manufacture, the core strength is greatly improved. The design of the new 1 metre Mini Beany removes the need for in situ concrete haunching at the front of the channel, ensuring substantial savings in labour, shuttering, the disposal of soil and, most importantly, concrete. By using Marshalls’ unique online Concrete Calculator users can work out their concrete cost savings online or by simply texting Beany to 80039 and Marshalls will send out a link to view the calculator on a mobile phone.